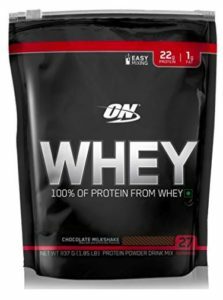 Amazon is offering Optimum Nutrition (ON) 100% Whey Protein Powder – 1.85 lbs, 837 g (Chocolate) at Rs 1125 only. Add it to your routine diet to make it healthy and balanced. Hurry!!! Order now before the price goes up.